Liverpool’s Albert Dock opened in 1846 as a combined dock and warehouse system. It was designed to accommodate sailing ships, but the advent of powered vessels heralded its decline and eventual closure in 1972. Redevelopment of the dock began in the early 1980s when the Merseyside Development Corporation was established. Today its Grade I listed buildings, the largest collection in the UK, house a great selection of museums, tourist attractions, hotels, bars, and restaurants. The Merseyside Maritime Museum explores Liverpool’s rich seafaring history. Exhibits here cover emigration, the Titanic and Lusitania, and the Battle of the Atlantic. The building also houses the International Slavery Museum and the UK Border Agency National Museum. Tate Liverpool is one of the largest galleries of contemporary and modern art outside London while the Beatles Story explores the life of the city’s most famous sons and the impact they had on music and culture. The Yellow Duckmarine is a converted WWII amphibious landing vehicle that has been converted to offer tours of Liverpool city centre and the docks. 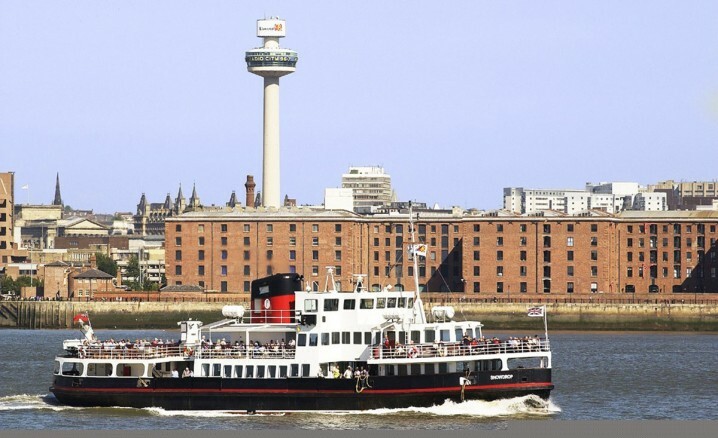 The hour long tour, half on land and half in water, takes in some of the city’s major landmarks such as Pier Head and The Three Graces, St George’s Hall, the Metropolitan Cathedral, Philharmonic Hall, Liverpool Anglican Cathedral, Salthouse Dock, and Albert Dock. Information about all these attractions and more can be obtained from the Albert Dock Visitor Centre. It’s situated in Anchor Courtyard, near Circo and the Premier Inn. The hotels on the Albert Dock itself are the Premier Inn and the Holiday Inn Express. Both are situated in the Britannia Pavilion on the southern side of the dock (close to the Echo Arena) and offer reasonably cheap rates. The 3-star Jurys Inn and the 4-star Staybridge Suites are both located on the Kings Waterfront next to the Echo Arena and within easy walking distance of the Albert Dock. The Albert Dock offers some of Liverpool’s most stylish restaurants and bars, most of which are situated on the southern and eastern side of the dock. Choices include Gusto, PanAm, What’s Cooking, Circo, Revolution, Spice Lounge, and the Pump House pub. The Comedy Central club features live comedy shows every Thursday, Friday, and Saturday evening. For spectacular view visit the Nigel Paul Smith’s award-winning Maritime Dining Rooms on the fourth floor of the Merseyside Maritime Museum. Albert Dock is a 20 minute walk from Liverpool Lime Street, the nearest mainline train station. 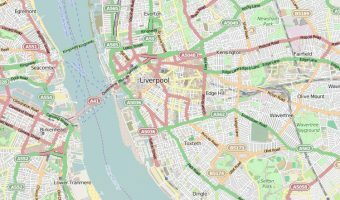 It’s possible to transfer to the Merseyrail network at Liverpool Lime Street and take the train to James Street, approximately ¼ mile from Albert Dock. Albert Dock is well signposted from the M62 motorway. There is limited pay-and-display car parking at the dock itself. Additional parking is available at Liverpool One and the Arena and Convention Centre Liverpool. Map showing location of Albert Dock. There’s also a Premier Travel Inn here which is pretty good and fairly cheap. Albert Dock was opened by and named after Prince Albert, the husband of Queen Victoria.